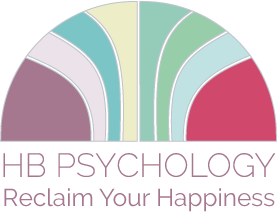 Whether you are feeling anxious or depressed; struggling with thoughts, feelings and behaviours that you really want to change; or feeling distressed due to past experiences or relationships – psychological therapy with HB Psychology can help you to reclaim your happiness and to achieve your goals. HB Psychology offers a compassionate, non-judgemental and professional psychological therapy service. Therapy is tailored to your individual needs, helping you to gain an understanding of your difficulties and working alongside you to overcome them within an empowering and supportive therapeutic relationship.